Offered by us is a wide and exclusive range of Automatic Power Factor Controllers at market leading prices. Finest quality raw material coupled with latest technology ensures a quality product with zero maintenance. Before delivery to the customers, our quality controllers ensure that the product is in compliance with industry set quality standards. The products are packed using very high quality packing material to ensure their safe delivery till the customers end. It is very useful in reducing transformer and distribution equipment losses. The product can also be customized in accordance with the requirements of the customers. We are looking for inquiries from South India region including Andhra Pradesh, Karnataka, Kerala and Tamil Nadu and cities like Bangalore, Chennai and Hyderabad. We are among the trusted names engaged in supplying and exporting a qualitative range of Automatic Power Factor Controllers. These power controllers help in minimizing power consumption and voltage drop in long cables. They are manufactured utilizing supreme quality raw materials and are manufactured under the supervision of our expert professionals to ensure their compliance with industry set quality standards. These electrical devices are also useful in reducing transformer and distribution equipment losses. Use a specially designed electronic control circuit that improves power factor to meet requirements of load switching pattern. Improvement of power factor up to optimum levels is guaranteed. 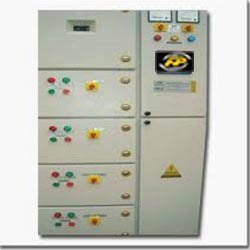 Looking for Automatic Power Factor Controllers ?